The Sleeping Tree is Giulio Frausin from Italy. In the Spring of 2008, Filippo Aldovini of Zymogen Netlabel recommended this decent guy to us. We got in for a chat, failed to meet in Düsseldorf but agreed on a release somewhat later the year. Giulio's blueprint of low-key Pop- and Folk music was absorbing from the first seconds of his heart rendering "Love is an Eternal Lie" hit single, online as a demo version at myspace back then. 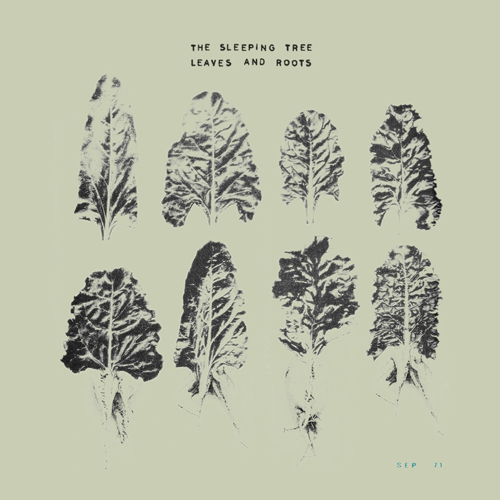 The Sleeping Tree appeared with a bitter-sweet street ballad on our jubelee compilation (“You've Got To Be Strong”), afterwards Giulio locked himself in to record and produce his debut album "Leaves and Roots" you are lucky to download now. Just in time for Christmas! Giulio reduced his music to the essential basics of Folk. Acoustic guitar and his wonderful voice, a little bit of melodica and mouth harp, some delay here and there, nothing else. His music has a stunning clarity and vulnerability that brings forth a strange feel of timelessness- The Sleeping Tree could equally be a contemporary of Nick Drake, Mark Hollis or Ben Harper. You like him if you dig Crepusculum. All these comparisons limp and the truth, as always, lies in-between. While the instrumental pieces on "Leaves and Roots" are introspect and melancholy, Giulio's vocal songs are well-nigh uplifting. A discreet Worldmusic influence is present, mixed with a grasp for melody that knows as much about Jazz as about Popmusic. Catchy, but never shallow. His voice is placed prominent in the mix, very intimate and beautiful, and his slight Italian accent is super. Giulio's dear sister Teresa did the artwork.